Take intervention blocks. 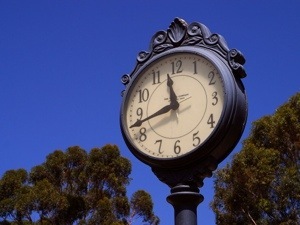 Many schools are now required to insert 30-45 minute periods at each grade level for intervention. This concept is proposed by Dr. Michael Rettig among others. With the daily school schedule already broken up for specials, lunch, recess and more, this model may serve to further fracture an already disconnected school day. As another option, Allington and Cunningham suggest a more flexible approach: Have special program teachers provide all their instructional support in the regular classroom rather than in a location down the hall (74). It is not suggested that all intervention should be a push-in model; teachers have to understand their students’ needs. What works best for each individual may be different, including location. For example, a student might be easily distracted in the regular classroom, or they may be embarrassed to be observed by peers reading easier books. In both situations a pull-out model probably works best. However, a positive of intervening in the regular education classroom is the potential for more and better academic collaboration between the specialist and the classroom teacher. The specialist sees the learning targets students are working toward in the classroom and can better connect the intervention to what their student is learning during regular instruction. – Each teacher can observe the other teacher instruct, which can lead to some informal yet powerful peer coaching opportunities, encouraged by many educators such as Regie Routman (2012). – Less instructional time is wasted going back and forth to and from the intervention room. Allington and Cunningham estimate that, at a minimum, 10 minutes are wasted each day for a student during transitions (124), including getting work put away and back out in the regular classroom. This equates to about one hour per week, or almost four instructional days for an entire school year. What teacher wouldn’t want four more days of instruction to work with their students without having to extend the school year? Routman, R. (2012). Mapping a pathway to schoolwide highly effective teaching. Phi Delta Kappan, 93, 5, 56-61. An outstanding post Matt – thanks for sharing! 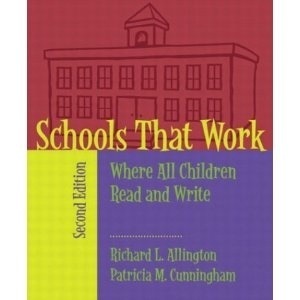 I also relied heavily on Allington’s work in addressing how we supported readers in our school. One thing that we found was that in the early stages of our school framework, many of our interventions were pull-out. It was a model that teachers were traditionally familiar with in the school (weakest readers leaving the classroom for extra support). However, one fundamental shift we made in the early stages was ensuring that LA instructional time was sacred – no student left the classroom during this time (supported by Allington’s assertion that struggling readers need more time in literacy instruction, not pulled out during classroom-based literacy instruction). This was a starting place. However, as our intervention model evolved, a fundamental shift happened where the interventions slowly moved to “push-in”, through the use of intervention blocks and common grade-level times (ie. all grade two teachers did guided reading at the same time and an additional learning support teacher joined them to increase the number of instructors in the classrooms). Starting off with pull-out helped to shift some long-standing beliefs about how we support struggling readers – we then began to make the shift within the model to focus on the power of the push-in. Really great stuff Matt – love the idea of piloting it with a small group of teachers (see The Value of Piloting Change – http://jigsawlearningca.wordpress.com/2012/04/24/the-value-of-piloting-change/ for more thoughts about this). Thanks again for the thoughtful post! Thank you for the comment. It is going to be a shift, but hopefully in the right direction. Your insight and experience is very helpful, thanks for sharing. Just read your post, Kurtis. Spot on! You walk the walk. you made running a blog look easy. The overall glance of your web site is great, as neatly as the content! WordPress is a nice blog provider. I highly recommend it. Average posts for me are 300-800 words. Thank you for this post. I am a new principal, and I’m looking for ways to introduce push-in with my reading specialists. One of their favorite authors is Allington, so this will help a great deal. Can you point me to resources that talk about how to implement the push-in programs at the K-1 level for reading interventions and core reading. For example, is there an outline article or book outlining the process of how to make transition from pull-out to push in? What should the classroom setting be in order to reduce noise and distractions? Is it okay to have an area blocked off in the classroom (like a creative fall area that reduces the distractions and noise)? What should collaboration and instruction look like during core curriculum time with a regular classroom teacher and a reading specialist in the room at the same time? Many times articles/books tell us why changes should be done, but not how? Does Schools That Work tell schools how to do it? What are the steps in the process? Pointing me in the right direction will be appreciated. Caroline, the four resources I cite at the end of this post should provide answers to at least some of your questions. As the specialist, the push in model frustrates me. I have no control over what is taught during my “push in” time. The teacher is to provide all the lessons. Frankly… some of the lessons are not of the quality or intensity that my pull out lessons would be. Our issue is not the in the schedule but in the value, or lack of value placed on the reading block. It is not protected, it is not sacred, and it is not highly engaging. As far as the idea that being pulled out carries a stigma. I think that, at the elementary level, it is an adult problem, not a kid one. An example of that is a 3rd grader walked in my room and said, “This is my favorite part of the day. I love coming here.” Well, I have been in her classroom, during her reading block and I can see why. To make a long story short… I don’t think it is the intervention model at issue here. I think it is what is and is not happening during core instruction. That is where the biggest changes need to be made. I absolutely agree! As a math specialist and a mom of a student who has always needed additional support, I do not feel that there is a stigma at all – that is an adult perception – I actually asked my students and almost all of them said they prefer to come to the math lab! Pushing in has so many issues that people do not consider! Sometimes the classroom environment is not conducive to providing essential interventions – sometimes there is a bigger stigma of having to be pulled in front of classmates. I wish people making the decisions would actually look at current practices before making changes! Thank you for sharing your thoughts about interventions in the classroom. I’m wondering … as this post was written almost 5 years ago, where your thinking is currently in regards to interventions in the classroom. What are the current practices in your school today? Our district is designing a new model for interventions, including interventionists pushing into classrooms to support students and teachers. As a reading specialist that has been “pulling-out” students for many years utilizing RtI and LLI, I see many challenges (many mentioned in the comments) to a new model. However, I am willing to learn more and see the possibilities to provide all students with what they need and provide responsive teaching. If you are looking for an idea for a blog post, I think many of us would love to hear your updated thoughts! One struggle I have with LLI is that it seems to demand fidelity to the program instead of to the student. What if the student does not respond to the intervention – move him/her on to the next tier or intervention automatically, or adjust the intervention to meet the students’ needs? I say we should trust our well-educated professionals. One new approach I’ve experienced this year is co-teaching, where the regular education teacher and the special education teacher collaboratively plan instruction for all students in the same classroom. Support is embedded within the plans. We are seeing positive effects for our students with special needs. Could the same work for interventionists? We are going to try next year in 1st grade and find out.